JULY 23, 2013 – Volunteers are urgently needed to help with a special maintenance project at our wildlife rescue center in Tabanan, Bali. “We need help to paint and clean up almost two dozen empty bird cages, as well as built new perching and nest boxes for each cage,” says FNPF’s CEO and Founder Dr Bayu Wirayudha. There are 22 cages in need of repair, the biggest of which is 6m high and measures 8m by 30m in width. Volunteers don’t need any experience, but must be hardworking and able to help out for six hours each day. Our Bali Wildlife Rescue Centre, one of only seven such centers in Indonesia, cares for and rehabilitates native endangered wildlife, most of which are the victims of illegal trading and poaching. The birds that normally live in these cages were recently relocated to the Seram Bird Rehabilitation Center, on Molucas island – also known as Maluku – in the far east of the Indonesian archipelago. The birds – 16 cockatoos and six parrots – are all endangered species and native to that area. If you live in Bali and just want to come and help out, there is no cost – just drop us an email at the address below. For people who want to stay at our rescue center while helping out we are offering a reduced volunteering rate of US$10 a night – normally it is about US$15. The center is simple, it has bedrooms with bunk beds, toilets, showers and a small kitchen. All of the volunteering fees are used to help cover the costs of running the rescue center and of hosting visitors. Please be aware that volunteers helping with this short term maintenance project won’t get to handle the animals and birds at the rescue center – many of them have psychological and physical problems and need specialist care. However, as a bonus volunteers on this project will get to tour our nearby Besikalung Wildlife Sanctuary where they can see Indonesia wildlife in its natural habitat. “It’s a big project, enough to keep four people busy for 14 days, but of course if you are available for a shorter stint that is fine as well. If you are interested please email us asap at info@fnpf.org. 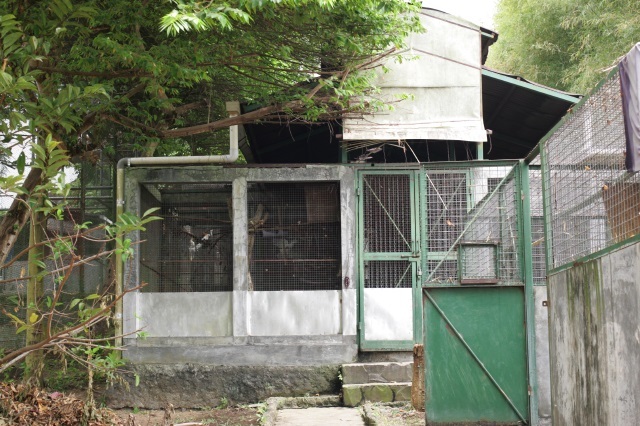 The work needs to be completed by August 14 and then the cages are needed again,” says Dr Wirayudha.